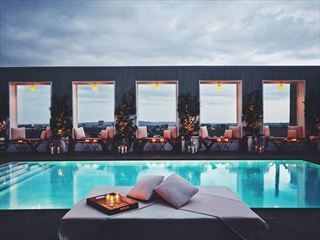 Located in on the world-famous Sunset Strip, the Andaz West Hollywood is a modern hotel with attentive staff, chic dining options and a fantastic rooftop pool with views overlooking the city. 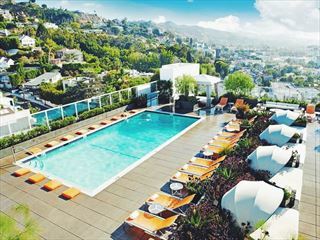 Mondrian Hotel is located in the heart of West Hollywood on the world famous Sunset Strip. Ideally suited to exploring the city, the luxurious decor and stylish features make for a sophisticated setting for your city break. With spacious guest rooms and a great location within walking distance of several legendary establishments, this Hollywood hotel offers a great base from which to explore the city. Located in the heart of Hollywood on the Walk of Fame, across from the Grauman’s Chinese Theatre, The Roosevelt stands out among Hollywood Boulevard hotels as a classic property steeped in glamour and history. 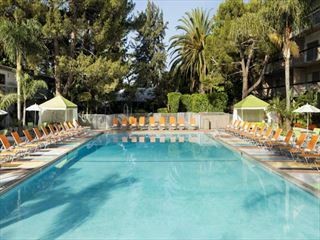 The Sportsmen's Lodge provides the perfect place to stay and play in Los Angeles—in the heart of Studio City and close to Hollywood, Beverly Hills and the golden beaches. Located in the heart of Hollywood, the property is the cornerstone of the Hollywood & Highland retail-entertainment project, with mid-century décor inspired by the LA residential architecture of the 50s.